current net worth of Atiku Abubakar,his net worth,mansions and assets in Nigeria. Q: Atiku Abubakar Quick Facts? 1. Atiku Abubakar was born born in 1946. 2. He became popular after serving as the second elected vice president of Nigeria from 1999 to 2007,he is the 11th Vice President of Nigeria. 3. He was born in Adamawa state Nigeria,Atiku studied at the Ahmadu Bello University,he later worked in the Nigeria Customs Service for twenty years and became the Deputy Director before retiring to become a politician and business man. 4. Atiku made a lot of money while he was working for customs,he has been contesting for the presidential seat since 1993 but it seems as if it keeps on eluding him. 5. Atiku Abubakar is one of the popular politicians in Nigeria,he fell out with President Obasanjo during their second term in office. 6. Atiku is a billionaire by all standards,he is the co-founder of Intels, an oil servicing business,he is also the owner of Adama Beverages Limited, apart from this he is also the owner of the American University of Nigeria (AUN) in Yola, Adamawa State. 7. Atiku was the only child of his parents,his father was a fulani trader and farmer. His father once stopped him from attending school,but was eventually arrested and made to pay a fine for preventing young Atiku from going to school. He attended Adamawa Provincial Secondary School. 8. Atiku’s first marriage was done in secret,he married Titilayo in 1971 in Lagos, because Titilayo's family was against the marriage,the union produced three children,he later went ahead to marry more wives. 9. It was said that Atiku got a 31,000 naira loan to build his first house in Yola, which he put up for rent,he had always had an interest in real estate,agriculture and trading. As a trader Atiku was buying and selling truckloads of rice, flour and sugar. 10. Atiku was accused of money laundering by the U.S. government during his Vice Presidency tenure. 11. Atiku also has a beverage manufacturing plant in Yola, as well as an animal feed factory. 12. 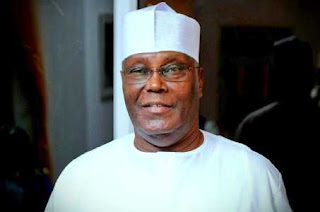 His university called the American University of Nigeria (AUN) has received special recognition from Google,however in january 2017, the U.S. government refused to offer a travel visa to Atiku. 13. Atiku Abubakar is one of the Nigerian politician that is social media savvy and was the 2nd Nigerian politician to be verified by twitter,he is also active on Instagram and Facebook. Q: What is the current net worth of Atiku Abubakar? He was sidelined when the list of some of the richest Fulani men is being mentioned mostly because he has been accused of money laundering, nevertheless he is still among the richest men in Nigeria. Atiku Abubakar is estimated to be worth between $ 500 Million Dollars - $1 Billion US Dollars.